1. The Bill for Buying of Herrings in Leistof Rede in Suffolk. 1. The Bill of Thomas Hubbart, and Audrye his Wife, against Sir Nicholas Hare, for the Repeal of an Act of Parliament, Anno 31o H. VIII. 1. 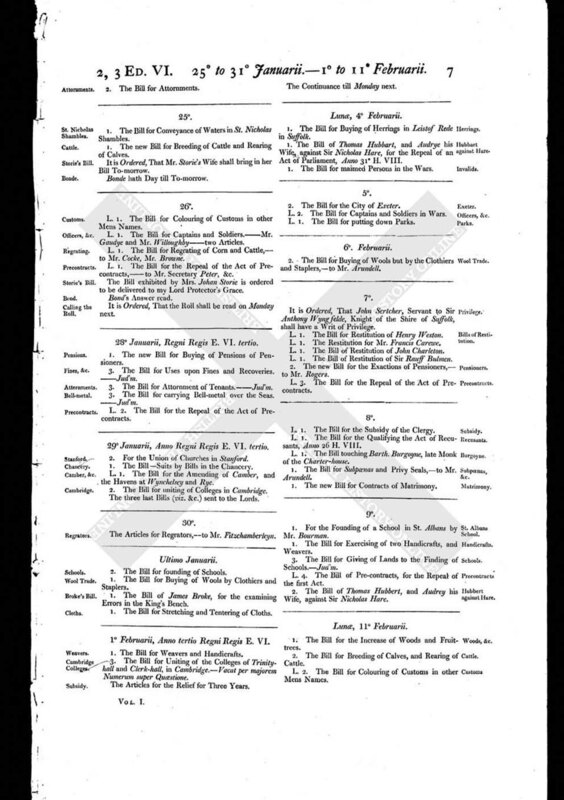 The Bill for maimed Persons in the Wars.